Upset by US intelligence reports exposing the fallacy of his proclamations, Donald Trump renews his attack on American intelligence agencies, saying they are “naive”. On Tuesday, the US intelligence community’s Worldwide Threat Assessment said that North Korea will continue to maintain nuclear weapons capability, despite Trump’s declaration that the nuclear threat was ended by his summit with Kim Jong-un. It said the Islamic State — which Trump maintains is “completely defeated” in Syria — is still plotting attacks around the world. And the community warned of renewed Russian efforts to interfere in US elections, undermining Trump’s repeated insistence of no evidence of Moscow’s operations. 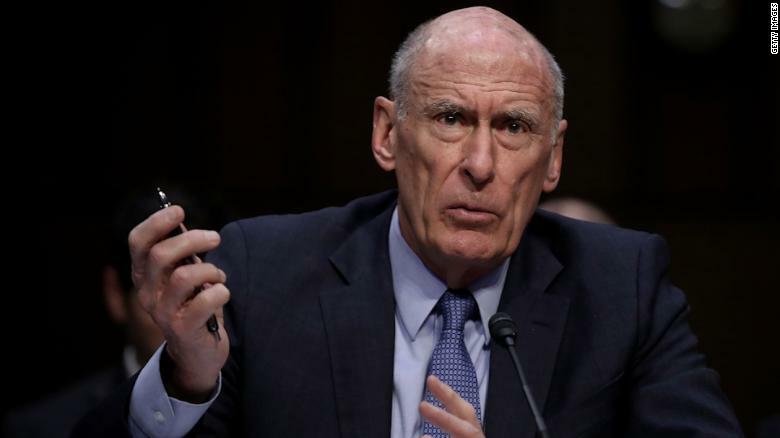 Director of National Intelligence Dan Coats, FBI Director Christopher Wray, and CIA Director Gina Haspel drove home the points in testimony to a Congressional committee. Trump did not appear to have read the 42-page report. Instead, his Twitter response seemed to come after a New York Times article summarizing not only the remarks of the intelligence heads, but also those of Senate Majority Leader Mitch McConnell — an important shield for the President — criticizing Trump over his abrupt consideration of US troop withdrawal from Syria and Afghanistan. Trump was particularly agitated by the Threat Assessment’s evaluation that Iran is continuing to comply with its 2015 nuclear deal with the 5+1 Powers, despite Trump’s withdrawal of the US in May. Trump has repeatedly assailed US intelligence agencies. Just before his inauguration in January 2017, he equated the agencies with Nazi Germany when the “Steele Dossier”, a report from a private intelligence firm setting out links between the Trump campaign and Russian officials, appeared in the press. He has continued to attack the FBI, including the dismissal of Director James Comey and pressure leading to the removal of other top officials, in an attempt to blunt the Trump-Russia investigation. Last July, at his summit with Vladimir Putin in Helsinki, Finland, Trump said he would choose the Russian President over US intelligence agencies in relation to claims about Moscow’s interference in US elections. Russia’s social media efforts will continue to focus on aggravating social and racial tensions, undermining trust in authorities, and criticizing perceived anti-Russia politicians. Moscow may employ additional influence toolkits—such as spreading disinformation, conducting hack-andleak operations, or manipulating data—in a more targeted fashion to influence US policy, actions, and elections. Trump did not respond to that section of the report.